Petrol Lighter. 55mm Plastic Grinder 2 part with shark teeth. 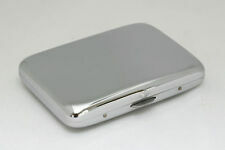 King Size Cigarette Case ( Holds 18-20). 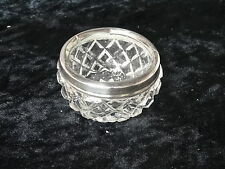 A lovely glass salts jar with a silver rim, as shown in the photos the silver rim is a bit worn, the cut glass is in mint condition. The wrappers are numbered like collector cards. 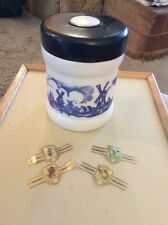 It has a blue plastic lid with white centre. 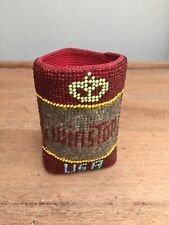 UNIQUE HAND MADE 'WINSTONS' CIGARETTE CASE - MID 20TH C. HAND MADE - LIEKLY FROMA WONANS OWN TYPE PATTERN - CROCHET CASE - WITH BEADS INTEGRATED AS IT WAS CROCHETED. Type: Cigarette Box. 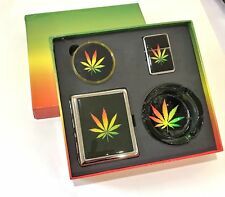 1 x Cigarette Box(Cigarettes are not included). 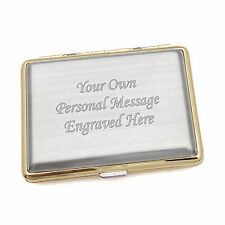 Features: Aluminum Alloy Material, Durable, Luxury Gift, Magnetic. Due to the light and screen setting difference, the item's color may be slightly different from the pictures. Colour:As the picture show. Your kind understanding and patience will be highly appreciated. We will reply you ASAP. Quantity:1 Pc. Due to the light and screen difference, the item's color may be slightly different from the pictures. Colour:As the picture show. Quantity:1 Pc. 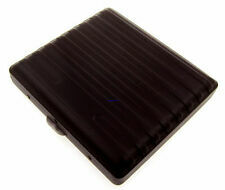 Due to the difference of light and screen, the color of item may be slightly different from the pictures. 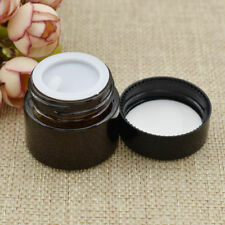 Size:Dia:3.2cm,Height:3.2cm. We will reply you ASAP. Colour:As the picture show. Your kind understanding and patience will be highly appreciated. IWe will reply you ASAP. Quantity:1 Pc. Due to the light and screen difference, the item's color may be slightly different from the pictures. Colour:As the picture show. Quantity:1 Pc. Size:Dia:3.2cm,Height:3.2cm. Due to the light and screen difference, the item's color may be slightly different from the pictures. Your kind understanding and patience will be highly appreciated. 7Pipe - The Original Twisty Glass Blunt For Dry Herbs With Cleaning Brush Accessories and Gift Box Gold. Marvel at the ease of using the Twisty Glass! After that, all you need to do is light the end. 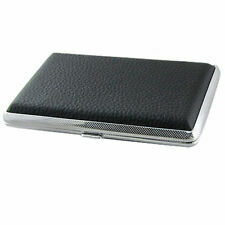 CALESI Curve Cigarette Case Storage for 20 Cigarettes Holder Stainless Steel Wire Drawing Processing with Gift Box. 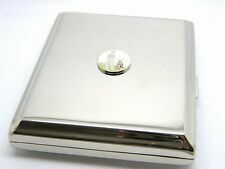 There are 2 springy holders in it to keep your cigarettes in place without crushing them, one-hand operation via flip open and close stainless steel lid and very easy to operate.